We'd like to extend our gratitude to you for visiting and supporting our first-ever International Wedding Trade Fair ( IWTF ) held in Hong Kong on April 3-5 at AsiaWorld-Expo, a world-class conference/exhibition complex at Hong Kong Int'l Airport. 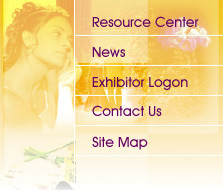 Date, venue and details of the 2 nd term International Wedding Trade Fair will be posted on this website in the very near future, stay tuned for its posting! AUDACE INTERNATIONAL FAIRS LTD is a Hong Kong based company and has been organizing and hosting local wedding expos for more than 15 years with over 40 exhibitions, three times a year during March, July and November (See www.wedding.expo.com.hk ) catering to Hong Kong nuptial couples and the wedding industry. 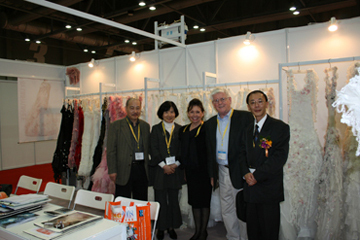 Since this is the first-ever Trade fair in Hong Kong with wedding as theme, the overall response from overseas attendees tended to be not as well-known as our local fairs in this introductory first year. 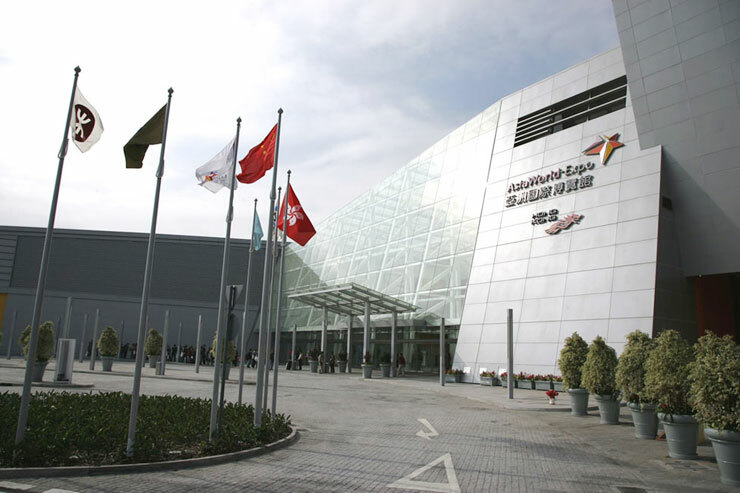 This is somehow expected for a first such international trade show, as overseas trade visitors needed to be well aware of the significance of this event with sufficient time to commit their traveling schedules. As we plan our 2nd Wedding Trade Fair we will be building on our current foundation and we expect and trust our 2 nd term will be significantly more successful in attendees turnout and exhibitors' participation. The Wedding Trade Fair took place on April 3-5 and occupied a floor area of 5680 sqm at Hall 3 of AsiaWorld Expo, hosting a total of 160 booths from 120 exhibitors, with a catwalk stage showcasing the latest bridal and evening dress trends. 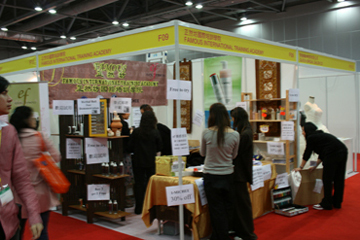 Exhibitors in this fair were primarily from Mainland China , Taiwan and Hong Kong, with overseas exhibitors also from Korea , India , Malaysia and the Philippines . Exhibits categories covered bridal gowns, bridesmaids, cocktail and evening dresses, bridal accessories in veils, tiaras, gloves, shoes, jewelry, lingerie and make-up ; grooms accessories like cuff-links, tie-clips, custom key-tags; wedding ceremonial accessories like ring-pillow, signing book, tableware, giftware, gift-boxes, floral arrangements and crystal ornaments; wedding photographic equipments including fancy albums and paper; banquet/reception accessories and wines, all and all making this wedding trade fair a one-stop merchandising meeting ground. “Global networking through Google Adwords”, hosted by Mr. Sam Kapoor from India on global networking via the internet. There were about 2000 overseas visitors attending the fair over the 3-day period, with some 1000 local public visitors from various wedding industries including the tourism and hospitality industries. 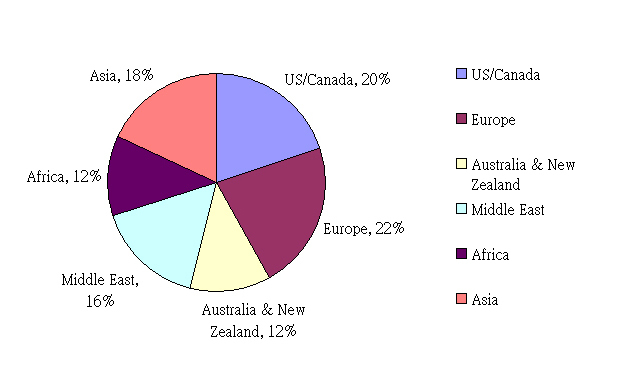 The overall make-up of overseas visitors turned out to be quite multi-national, apart from the bulk of North American and European ( especially UK), there were Australians bridal accessories importers and we saw good numbers of visitors from African countries like Morocco, Johannesburg, Nairobi, Kenya etc. 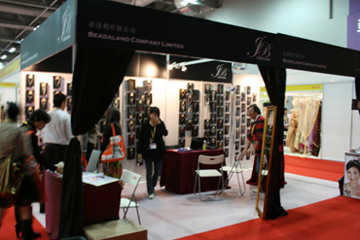 that are growing in demand for bridal accessories merchandising for their respective markets. As well, we observed substantial numbers of Middle-east visitors from Israel , Lebanon , Saudi Arabia , Dubai , U.A.E., Egypt , Turkey etc. Visitors from Asia, particularly Mainland China that represents the enormous emerging Chinese market, with India also growing as another huge economic block, highlighted the indication of potential buying forces that will certainly attract more western businesses and exhibitors in our future fairs. Other Asian countries included Taiwan , Singapore , Japan , Thailand and the Philippines . The global wedding industry is a multi-billion dollar industry worldwide, everyday tens of thousands of couples are planning their big days around the world, spending tons of money on weddings and honeymoon trips. 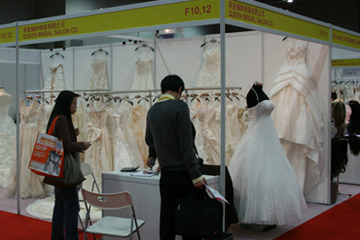 Hong Kong is renowned for its status as an international financial hub, and at the doorstep of China with a vibrant cosmopolitan texture, with first-class amenities in conference and exhibition venues, will definitely be the leading city to embrace wedding trade fairs where global wedding trade people can gather and exchange ideas and merchandise around the globe. It is with pleasure that we at AUDACE INTERNATIONAL FAIRS LTD would like to say thank you and see you all again at our next trade fair!